Estes Park is known for its breathtaking scenery, its abundant wildlife, quaint shops, beautiful lodging, and its proximity to Rocky Mountain National Park. 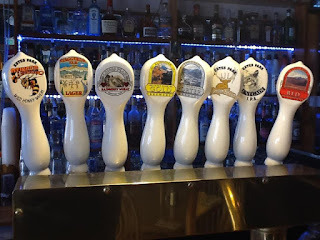 Surprisingly, being in the land of a thousand microbreweries (and wineries) Estes Park has not been known for its variety of beer, wine, and spirits. Well, this is changing in a wonderful way with true craftsmen taking this industry to an entirely new level right here in Estes. 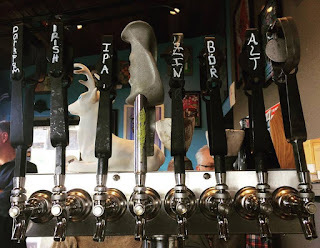 The Estes Park Brewery has been a staple here in town for many years, so we’ll leave this one for the end of this section, as many of you are probably already familiar with its offerings and its location. We’ll dive in, first, with the new breweries in town and get you up to speed with how the beer game is changing up here at 7,522 feet. 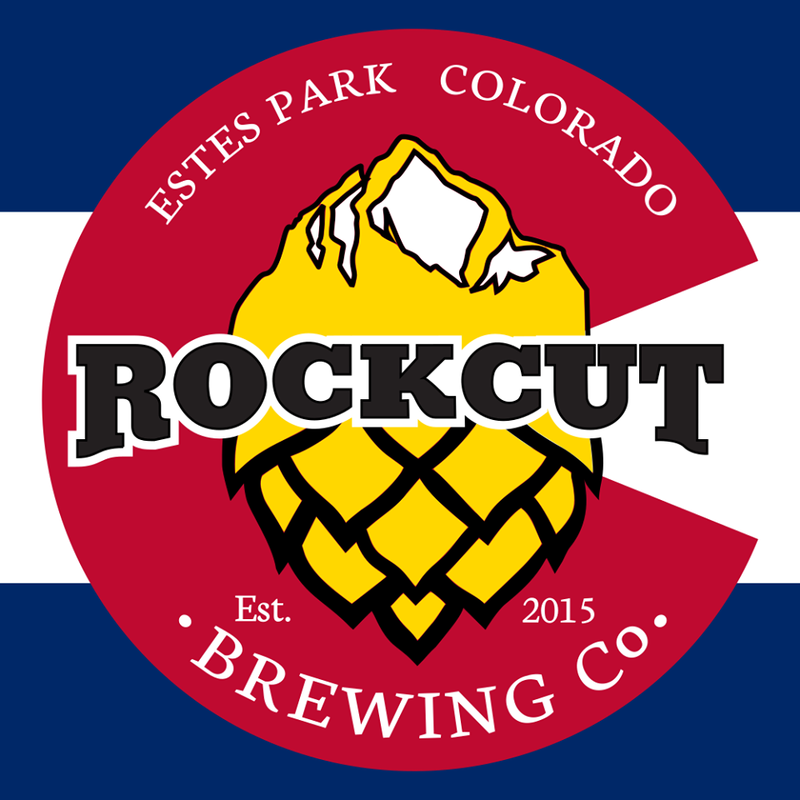 Named for the infamous landmark along Trail Ridge Road, Rock Cut Brewery has a wonderfully inviting atmosphere with a huge wrap around bar, indoor, and outdoor seating. They have a truly wonderful beer selection and brew all of there beers in house with the finest grains and pristine Rocky Mountain water. Matt and Tracy have about 20 years of brewing experience and you can tell they take great pride in their beer and brewing process. A favorite spot for locals and visitors alike, it’s the perfect place to grab a beer after returning from a hike, climb, ski, snowshoe, or run! They have a bookcase full of games and cards, and there is a food truck out the back door with some delicious eats! Or feel free to bring in your own food! Bottom line, this is a super fun spot that anyone will enjoy. They have some of the best beers, not just in Estes Park or the state of Colorado, but in the entire country. 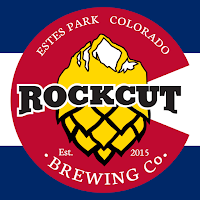 I can’t even tell you how many people I’ve heard say their very favorite beer, anywhere, is from Rock Cut. Location: 390 W. Riverside Dr.
Another brewery named for an infamous local and natural feature is this re-purposed filling station turned microbrewery. This is definitely a quirky and unique spot with a truly local flair. Local art adorns the walls of their small taproom and the beer is most certainly the center of what they do, as it should be. And they do it remarkably well. How best to describe Lumpy Ridge Brewery? Well, in their own words (from their Facebook page): “Small Taproom, 8 taps, funky.” They are spot on. While the taproom is small, the warmer months offer perfect weather to enjoy the views of Lumpy Ridge from their large patio, which is located under the old gas pumps roof… it is a re-purposed filling station after all. This spot is a can’t miss brewery. The beers take center stage, they are all delicious, and the care and art that goes into their brewing process is evident from the first sip. The company is friendly and if Nick is around, the owner/brew master, he may even give you a tour of their facilities and show you what they have going on in the back… very cool stuff! Location: 531 South St. Vrain Ave. Founded in 1994, the Estes Park Brewery is a fixture here in Estes Park. For many, it’s an annual stop (or 2, or 3) when they visit Estes Park and serves as a great spot when heading back to town after a hike for some grub and a beer. With over 12 beers on tap, as well as root beer, you’re sure to find something to quench your thirst. Can’t decide which one? They have a convenient tasting area where you can sample them all! The also have pool tables and video games and are right downtown. The bottom line is that this is a classic Estes Park destination and the brewery that started it all here in our little valley. Great beers, good food, and friendly folks! Location: 470 Prospect Village Dr.
As of now, there is only one winery in town and it is fantastic! Located in the heart of Estes Park, Snowy Peaks Winery offers a true taste of Colorado’s burgeoning wine industry. They offer their own, award winning, hand crafted, wines along with the best samplings of other Colorado boutique wines. You may be thinking how in the world a winery can exist in northern Colorado at 7,500 feet! While they do hand craft all of their wines here in town, they use grapes from all over the state. Most come from the western slope in the Palisade and Paonia areas, which are, interestingly, ideal climates for growing incredibly high quality grapes. 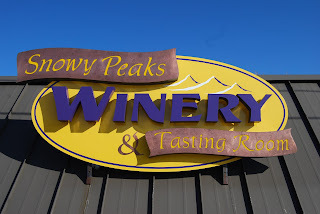 Snowy Peaks has a wonderful tasting room where you can sample their huge variety of wines and even has a “No Wine-ing” play room for the kiddos! If you enjoy wine, this spot can’t be missed! 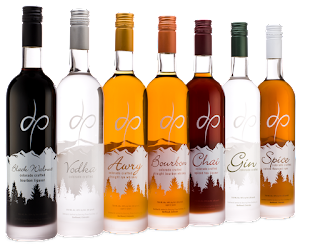 New to the game, in Estes Park anyhow, are the distilleries. But don’t let that scare you off as they are both fantastic with high quality and unique offerings. The finest ingredients are used in these small batch spirits and everything is served fresh off the distilling process. It wont take long to realize that this is a true art form and the greatest care is taken when both of these companies create their product. If whiskey is your thing, do not miss Elkins. You want to talk about high quality spirits? Belly up to the bar, sample their incredible whiskeys, and cocktails, and learn about how these guys do what they do. Their space is best described as eclectically rustic with red plaid wool swatches adorning the walls, a large wood bar with a copper top, tribally painted mule deer and elk mounts, and a large selection of branded swag. It has a warm and inviting feel and definitely highlights their superior spirits. 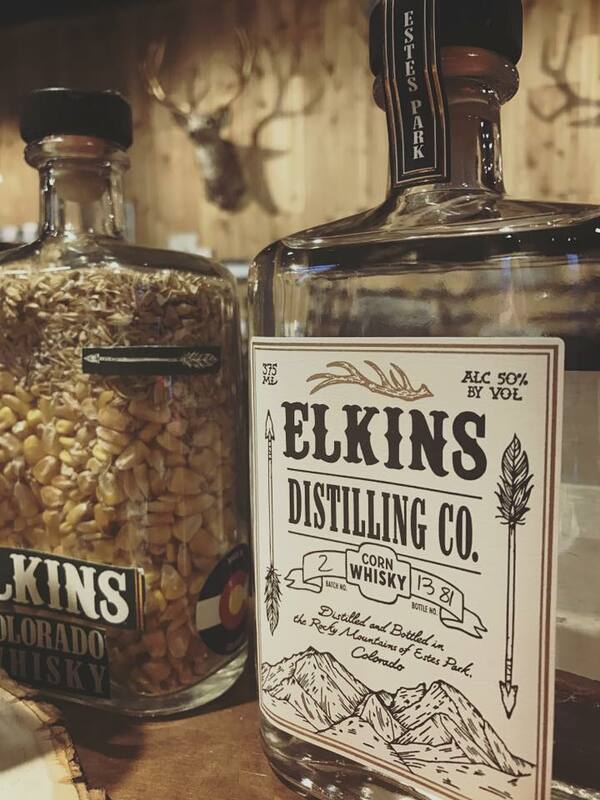 In their words, Elkins Whisky is a nod to the men and women making excellent whiskey in the Rocky Mountains for hundreds of years. You can tell they put the time, care, and quality into every aspect of the distillation process. It’s evident in their knowledge and even more so in their product. Tell McShan that McGregor sent you! He'll be thrilled to talk shop and is an all around good guy! He and his staff always make you feel welcome and like you've just come home. He and his business partners have started a great thing and locals and visitors alike are taking note! Do not miss this wonderful spot and fantastic addition to what Estes Park has to offer. And, just a tip… try their apple whiskey. You’re welcome. Location: 1825 N. Lake Ave. Drink Menu: Visit to see! With a passion for this corner of wilderness we call home, Dancing Pines translates this passion into their spirits. From the Rocky Mountain snowmelt to the rich grains that grow on the High Plains at the base of the mountains, they believe that our wild and productive land should be reflected in their spirits. Serving a variety of products, whiskey, vodka, gin, and rum, there is sure to be something that you will instantly be a fan of! They warmly welcome you into their tasting room downtown with smiles and an eagerness to share their craft. They have some wonderful cocktails, tastings, and offer their full line of spirits for purchase. Their facility is inviting, the location is convenient, and their staff is always friendly excited to have you there. You can tell that this company operates with the quality of the product placed first and foremost. They offer unique varieties of spirits showcasing their innovative pursuit of offering their best. If you appreciate the finest of liquors, you will want to stop by Dancing Pines to check it out. We often get the question "So what is there to do here in Estes Park" from guests when they check in here at the lodge. It's hard not to let our jaws drop to the floor as there are endless possibilities even if you don't factor in spending every second out in the wilderness of Rocky Mountain National Park. We hope that highlighting these wonderful spots will add more to your hard earned vacation. In the words of our friends at Dancing Pines Distillery: Please enjoy the wilderness and our spirits responsibly. I was looking for a place to go hiking on the coming weekend, and all three of these look wonderful. Going to show these to my friends. I really enjoyed reading this article. The style of writing is also good. Keep updating these types of fun posts. May Snowstorm in Estes Park! The Best Hikes With Kids in Estes Park!